Hello, my name is Ernestina Lizette Balladares Corea. I’m married and have 3 children: Grisell, Marlon and Arlen and 3 grandchildren. I started work at Los Pollitos Nursery School in 1993 and have been the Co-ordinator of the Centre for 24 years during which time we have improved little by little with the help of IMFA, the British Embassy and labour provided by the Managua City Council. I studied at the Autonomous National University of Managua (UNAN) gaining a teaching degree with special reference to Infants. 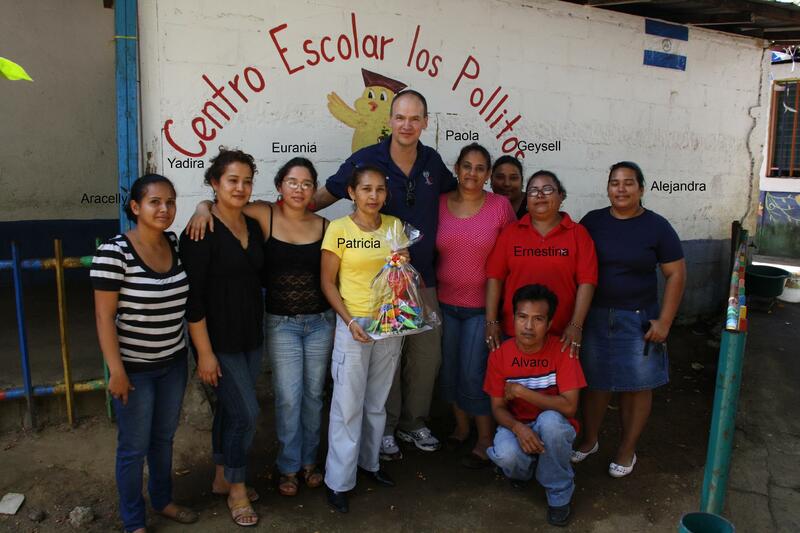 All these years I’ve been working for my community and especially for the children of the barrio so they have a dignified education and develop both mentally and physically in a safe and pleasant environment. Note: Ernestina's project managing skills at Los Pollitos have not gone unnoticed and she has been head-hunted to manage development at three other local schools. My name is Patricia Lorena Sánchez Gonzáles. I was born in Managua in 1966. I’m married with two children and live in the barrio. I have worked as a secretary in a bank, in a solicitor’s office, as a salesperson, a bingo caller and a receptionist. My teaching experience started in 1982 when I was 16 years old with the National Literacy Crusade educating adults, then as a stand-in teacher substituting for my sister. 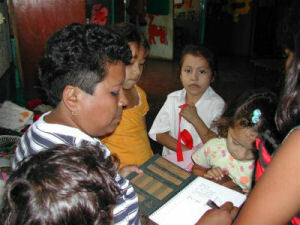 At the moment I’m working in Los Pollitos in level III with 27 children. I started substituting for María Elena who cannot carry on with nursery classes for health reasons but is helping me with the development of the class, how to make lesson plans and everything else to do with Nursery teaching. This is the first time I have worked with nursery age children and it is different from working with over sixes. I am very glad to have been chosen for this work and with the help of God and my colleagues I will succeed in teaching these children to read and write.